A big deer eyes me cautiously; a tiny rabbit hops aside but continues chewing the leaf dangling from its mouth. An amazingly cool morning ends the month of June. I've got an 8:30am dental appointment to install a permanent crown. 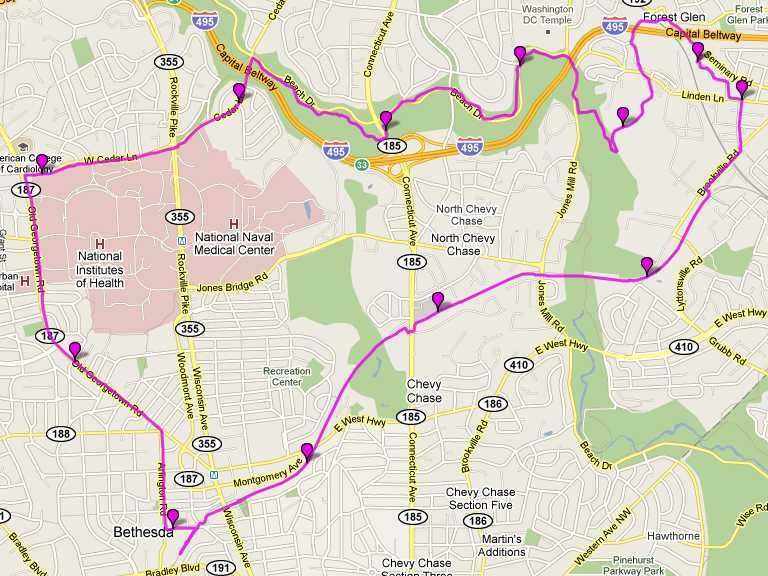 So starting at 5:30ish I trot from home to Rock Creek Trail, upstream to Cedar Lane, across to NIH, down Old Georgetown Rd to Bethesda, and back home on the Capital Crescent Trail: my traditional loop, CCW. Pace accelerates from 10.5 min/mi down to sub-9 for final miles.